Last year I discovered a fun art activity for my charge. It was so much fun, in fact, that he’s already requested to do it again this year. Like many of our own “Little Picasso’s”, Pablo Picasso started displaying his incredible artistic talent at a very young age. His style changed along the way, of course. You are probably most familiar with his Blue Period (1901–1904), the Rose Period (1904–1906), the African-influenced Period (1907–1909), Analytic Cubism (1909–1912), and Synthetic Cubism (1912–1919), also referred to as the Crystal period. We are going to refer to this period as our “Little Picasso’s” PUMPKIN PERIOD. This idea is so basic and easy! It will allow your charge to express their artistic creativity in a new way. Best of all, it can be done over and over again with the same pumpkin. All you need is a WHITE pumpkin! 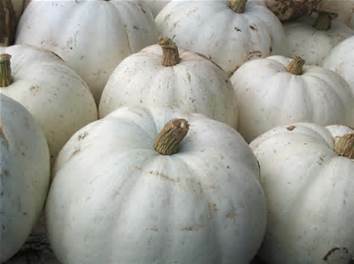 So, head to the pumpkin patch or your local grocery and allow your charge to explore the sizes, shapes, and textures until they find the perfect WHITE pumpkin. Once you are home with your pumpkin, you and your charge should clean the pumpkin with warm soapy water to rid any dirt from the surface. Allow to dry completely. Washable markers is all you need to get this project started! Allow your “Little Picasso” to use the white pumpkin as their blank canvas and the washable markers as their medium. Here’s a picture of my little guys masterpiece! What’s next? 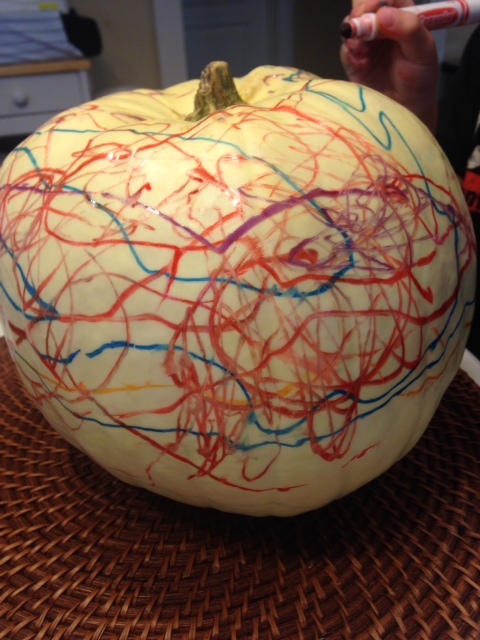 A baby wipe or wet paper towel can be used to wipe the pumpkin clean allowing pumpkin art to be created again and again!